Caution : Tinfoil Hat Area !!:!! freshphotons: GE Revolution CT Scanner. - freshphotons: GE Revolution CT Scanner. 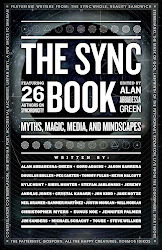 this is the Synchronicity, Synchromysticism and Semiotic site list. We'd all appreciate it if you'd tell others about The SYNC LIST - click the FACEBOOK and TWITTER buttons at the top of this page! this site is quite simply the BIG list of Synchronicity, Synchromysticism and Semiotic related blogs and web sites. The sites on this list are ordered automatically by Most Recent Update. Click here for the email address (under Contact) to send add requests by email. Witnessing the mystical beauty of the divine comedy.